The International Registry in Dublin, Ireland, has been established to file ownership, security, and title retention interest in aircraft, engines, and certain types of helicopters (filings on engines changed from 750 SHP to 550SHP). These filings have priority over the filings at the FAA effective March 1, 2006. Filings with the International Registry are legally mandatory. The United States declared that preexisting perfected liens with FAA, prior to March 1, 2006, will continue their first priority status. The FAA Oklahoma City Regional Office is the U.S. “Entry Point”filing location for the International Registry. Interest must be filed first with the FAA in Oklahoma City prior to filing - "registering" before filing at the international level. 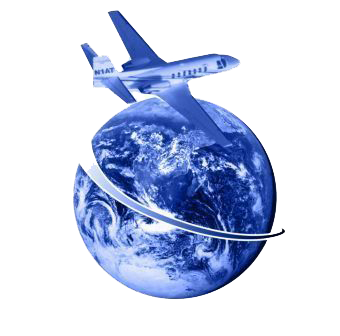 When we say that at International Aircraft Title & Escrow you will find the support you need to assist with your International Registry needs. We are a seasoned advocate for many who were dazed by the harsh reality that there was a new priority location for filing liens and ownership documents for participating countries which have “ratified portions of the Convention & the Protocol to the Convention”. As of 26th May 2015, the following countries and regional economic organisations have ratified or acceded to the Convention. Afghanistan, Albania, Angola, Australia (effective 1st Sep 2015), Bahrain, Bangladesh, Belarus, Bhutan, Brazil, Burkina Faso, Cameroon, Canada, Cape Verde, China, Colombia, Congo, Costa Rica, Cuba, Côte d’Ivoire (effective 1st June 2015), Egypt, Ethiopia, European Community, Fiji, Gabon, India, Indonesia, Ireland, Jordan, Kazakhstan, Kenya, Kuwait, Latvia, Luxembourg, Madagascar, Malawi, Malaysia, Malta, Mexico, Mongolia, Mozambique, Myanmar, New Zealand, Nigeria, Norway, Oman, Pakistan, Panama, the Republic of San Marino, Russian Federation, Rwanda, Saudi Arabia, Senegal, Seychelles, Singapore, South Africa, Spain, Syrian Arab Republic, The Kingdom of the Netherlands, Tajikistan, Togo, Turkey, Ukraine, United Republic of Tanzania, United States of America, United Arab Emirates, the Socialist Republic of Viet Nam, Zimbabwe. We know there are still non-believers out there who remain in a state of shock; that believe the International Registry is something they can ignore and hope will dissipate, as if it were adverse weather. Honestly, if you have a space in the upcoming moon hotel or can soar to any Hubble destination in the future, you might be ok but, barring that, you or your lender will want to comply so as not to loose your first priority lien or ownership position. There have been changes that are revolutionary in the processing of first priority lien and ownership position. Contact us today to learn more about the Cape Town International Registry and receive your personal tutorial. Remember we are amalgamated, OK WE ARE UNITED (for all those without a thesaurus handy!) with you as you traverse through the maze of the Cape Town prerequisites. We are not affiliated with the International Registry in any way. This is only an informational website provided by International Aircraft Title & Escrow to help people understand the International Registry.